Making your landscape dreams come true! Wingard’s Market has provided quality plant material, superb service and solid gardening advice for over 50 years, longer than any other garden center in the South Carolina Midlands. Let our team of talented designers and installation professionals help you create a landscape design that meets all of your needs and desires. Our staff has the knowledge and expertise to help you achieve these goals, according to your specific conditions, whether it is for a new home or business or renovation of your existing landscape. Cancellation of a landscape design appointment must be made by 5:00 pm the day before, or a travel charge will be applied. Call (803) 359-9091 for an appointment with our Landscape Designer. Our designer will provide notes and an 8-1/2” x 11” rough sketch for you to use to implement your design. use at Wingard’s Market. Coupon good for 90 days. 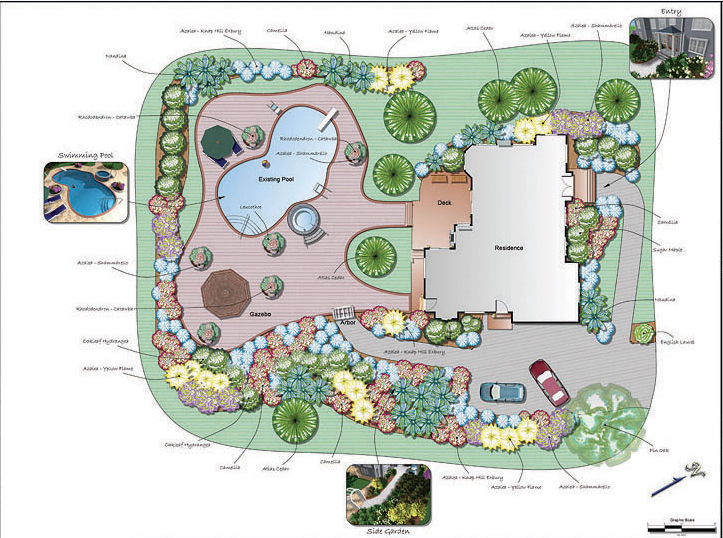 If you choose to engage our designer for Option 2 (a complete landscape plan, drawn to scale), the $150.00 will be considered a deposit for that service. Call (803)359-9091 for an appointment with our Landscape Designer. Upon completion of the landscape plan, and full payment of the design fee, you will receive a 10% discount on purchases at Wingard’s Market, up to the cost of the design, for one year. A $150 deposit, which is applied to the total cost, is required for the designer to begin the process. Prices subject to change and may vary depending on property size and/or customer needs. If your home is located outside the 29072 or 29073 zip codes, there will be an additional travel charge for each visit to your home. See Option 1 for a list of zip codes and charges. If you would like some help installing all or part of your design project, we are proud to partner with several local landscapers, who provide Installation and Maintenance Services. Just let us know if you are interested in installation services and we’ll arrange to have an installer visit your location. Call, email or come by to schedule your private consultation today.